Sales and Marketing Alignment Blog from Rod Sloane: Melting the Cold War between Sales and Marketing. I’m a child of the Cold War. Remember all that stuff? Spying, B52 Bombers and David Hasselhoff singing on top of the Berlin Wall, (sorry about that last image!) The only good thing to come out of that conflict was “Dr. Strangelove”. But is it really over? Over in your business? Are sale and marketing good buddies inside your business. Or are they just comrades? What was the real cost or the real Cold War? Lots of budget spent on expensive hardware and systems that were never used. Thank God. Sound familiar? So what resolved the real Cold War? Was it systems and processes? Uh? Was it from breakthroughs thanks to consultants and trainers? You cannot be serious! Are you? It was good old fashion economics, the allocation of scarce resources that caused one side to change. Thankfully they did. And it’s only going to be economic and market forces that will cause the Cold War in your organisation to melt. You aren’t going to fix this with a blow torch or an ice axe. That drive for change has started in most businesses and markets. Just remember technology cannot help you much, talking and dialogue can go a lot further. 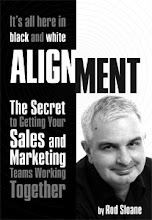 When did you last have a Sales and Marketing Alignment workshop in your company? I better the answer is never. OK. Don’t worry I just made that term up. But what is stopping you? Yes, I know your CRM will not allow you to schedule it, and it might ensure that you don’t hit your KPIs or it might negatively impact your value proposition. Or maybe, just maybe it’s just time to get started on the real work, real détente, real discussion. Please don’t stick your head into the ice, it maybe a cool way to prospect, but don’t expect to succeed for long.